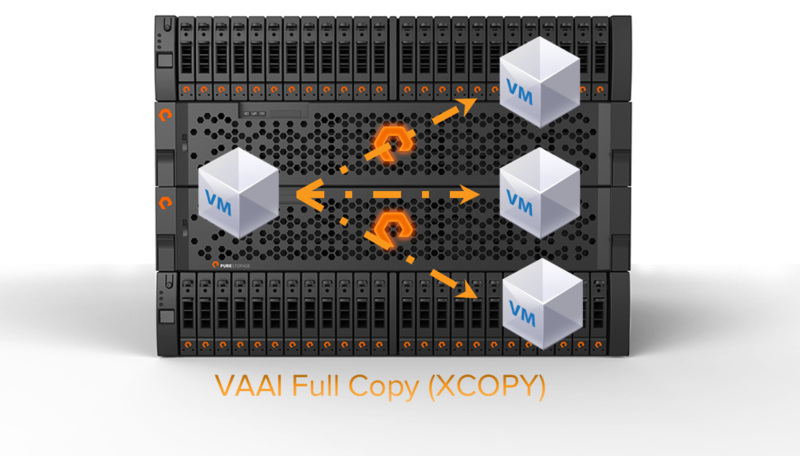 Today I posted a new document to our repository on purestorage.com: Pure Storage and VMware Storage APIs for Array Integration—VAAI. This is a new white paper that describes in detail the VAAI block primitives that VMware offers and that we support. Furthermore, performance expectations are described, comparing before/after and how the operations do at scale. There are some best practices listed as well, the why and how of those recommendations are also described within. I have to say, especially when it comes to XCOPY, I have never seen a storage array do so well with it. It is really quite impressive how fast XCOPY sessions complete and how scaling it up (in terms of numbers of VMs or size of the VMDKs) doesn’t weaken the process at all. The main purpose of this post is to alert you to the new document but I will go over some high level performance pieces of information as well. Read the document for the details and more. Virtual Disk allocation mechanism choice is something that was somewhat of a hot topic a few years back with the “thin on thin” question almost becoming a religious debate at times. Essentially this has cooled down and vendors have made their recommendations and end users have their preferences and that’s that. 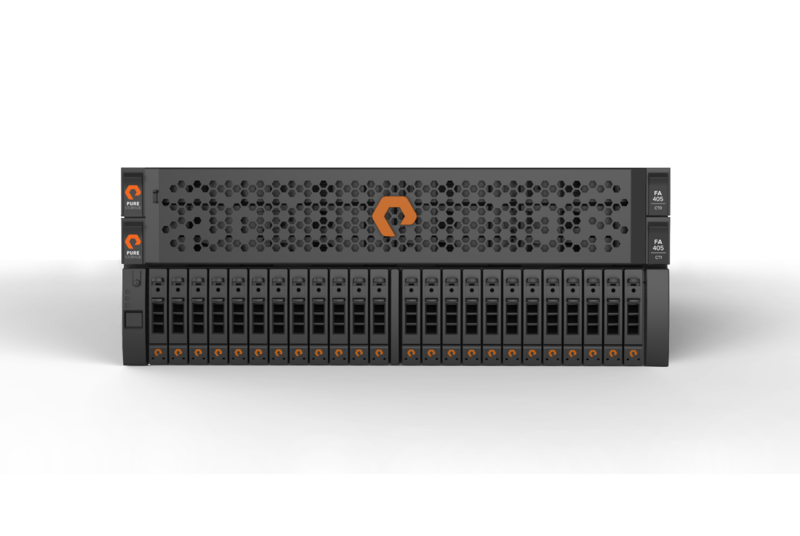 With the true advent of the all-flash-array such as the Pure Storage FlashArray with deduplication, compression, pattern removal etc. I feel like this somewhat basic topic is worth revisiting now. Eagerzeroedthick–This type is fully allocated upon creation. This means that it reserves the entire indicated capacity on the VMFS volume and zeroes the entire encompassed region on the underlying storage prior to allowing writes from a guest OS. This means that is takes longer to provision as it has to write GBs or TBs of zeroes before the virtual disk creation is complete and ready to use. I will refer to this as EZT from now on. 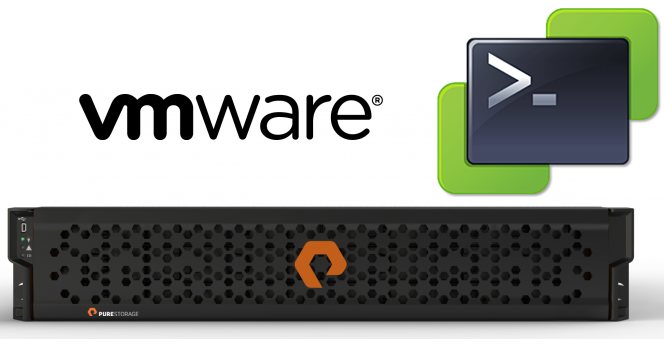 Zeroedthick–This type fully reserves the space on VMFS but does not pre-zero the underlying storage. Zeroing is done on an as needed basis, when a guest OS writes to a new segment of the virtual disk the encompassing block is zeroed first than the new write is committed. Thin–This type neither reserves space on the VMFS or pre-zeroes. Zeroing is done on an as-needed basis like zeroedthick. 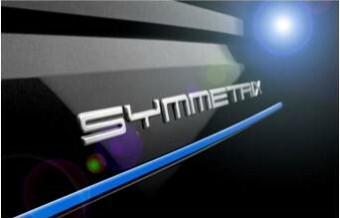 The virtual disk physical capacity grows in segments defined by the block size of the VMFS, usually 1 MB. This is a post I plan on just updating on a rolling basis. I have been working on updating the vSphere and Pure Storage Best Practices document and there are few settings that can be tweaked to increase performance. A common question I have and occasionally receive is can this be easily simplified or automated? Of course! 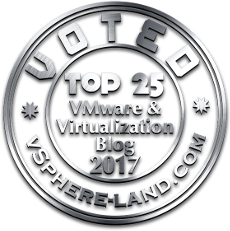 And PowerCLI is the best option in most cases–I will continue to add to this post or update it as I find newer or better ways of doing things. 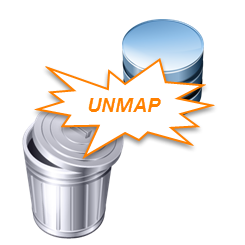 I posted a week or so ago about the ESXCLI UNMAP process with vSphere 5.5 on the Pure Storage FlashArray here and came up with the conclusion that larger block counts are highly beneficial to the UNMAP process. So the recommendation was simply use a larger block count than the default to speed up the UNMAP operation, something sufficiently higher than the default of 200 MB. I received a few questions about a more specific recommendation (and had some myself) so I decided to dive into this a little deeper to see if I could provide some guidance that was a little more concrete. In the end a large block count is perfectly fine–if you want to know more details–read on! 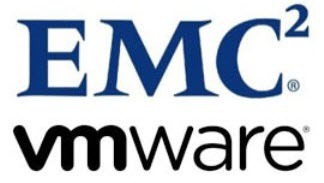 I’ve started recently playing a lot with EMC ScaleIO (version 1.2 just came out) and deployed it in my VMware environment. VERY easy to deploy and use. During my investigation of the product I noticed in the vSphere Client that my ScaleIO datastore was marked as supported for VAAI. I looked around for some documentation saying so and I haven’t been able to find any off the bat (if anyone does let me know).